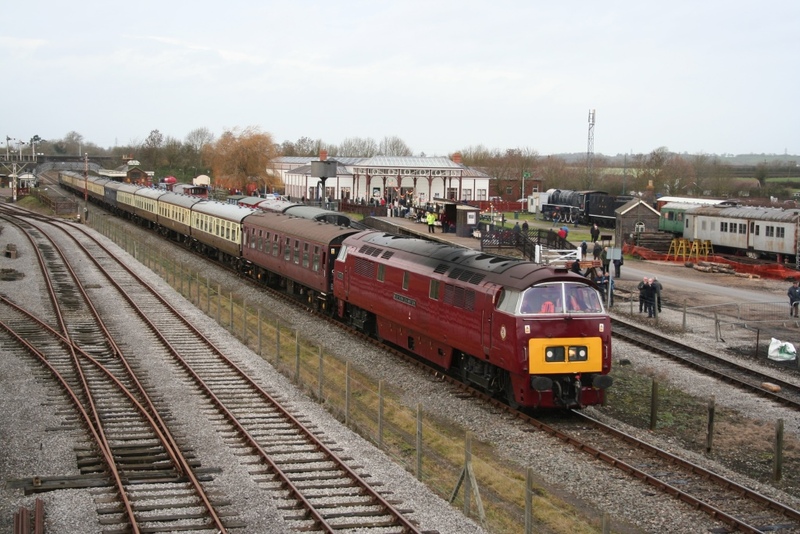 D1015 Western Champion called at Buckinghamshire Railway Centre for around 1½ hour. The Maybach Meanderer railtour had 13 carriages of the Riviera train set and originated from Crewe. 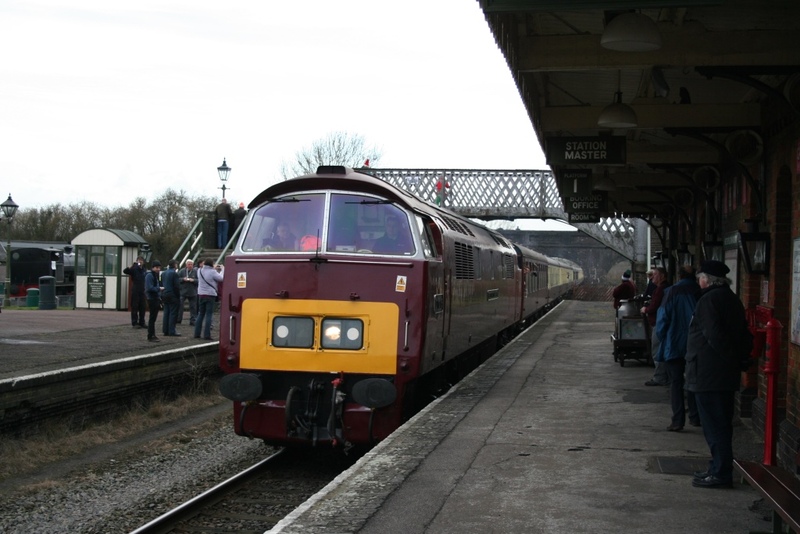 Western Champion took over at Bescot and went via Cheltenham, Swindon, Oxford to Claydon. From Quainton the tour went via Princes Risborough to West London, taking the Greenford branch and the Acton Incline to access the West Coast main line for its journey home.